Francesco Martinelli is a jazz promoter, journalist, lecturer, translator and author. He is the author of magazine articles and monographs about Evan Parker, Joelle Léandre and Mario Schiano. Since 1999 he has taught the history of jazz and related subjects at the Siena Jazz Foundation courses as well as in other conservatories in Italy. He has lectured at NYU, Wesleyan and Columbia Universities in USA, at Bilgi and ITU in Istanbul, at the Paris Conservatoire Nationale, and many other institutions. His main research interests include the history of jazz in Italy, jazz’s relationships with visual arts, traditional musics from the Near East, discography, and the preservation and restoration of sound carriers. Martinelli is currently consultant for the Izmir European Jazz Festival and Director of the Arrigo Polillo Center for Jazz Studies in Siena, Italy’s most important jazz archive. He has translated more than 10 reference jazz books into Italian and is a contributor to Rough Guide to Turkish Music. In the course of almost a century, European jazz musicians not only produced a corpus of work worthy of much wider appreciation, but also adopted strategies to adapt to the varied reception that the music evoked, which ranged from joyful acceptance to outright prohibition, the latter often involving survival and protest in equal measure. 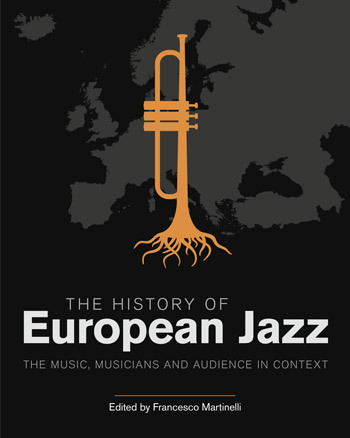 As the first organic overview of the history of jazz in Europe, and covering the subject from its inception to the present day, this volume provides a unique, authoritative addition to the musicological literature. Entries are written in a narrative style and are presented on a country-by-country basis. Each article is authored by a jazz history specialist from the specific country who contextualizes the music in the cultural landscape of that country, discussing the most influential figures of its development, and referencing the sometimes considerable literature available in the national language. This unprecedented pool of authors makes much of this information available in English for the first time. Further chapters cover related subjects: the history of African-American entertainers before jazz, the cross-national traditions of Gypsy and Jewish music, festivals, films, and avant-garde music. The book also draws on the newly available resources created by the extensive work being done nationally by various jazz archives. Chapters contain in-depth bibliographies, rare photographs and illustrations, and suggested listening lists. Supported by the Europe Jazz Network with funding from the Creative Europe programme of the European Union, this volume will serve as an inspiration for new generations of listeners and musicians. The increased circulation of people and ideas within Europe is not matched by an awareness of a shared history among its jazz community. In the course of almost a century, European jazz musicians not only produced a corpus of work worthy of much wider appreciation, but also adopted strategies to deal with a variety of situations, ranging from outright prohibition to survival in the market and institutions. This volume provides an organic overview of European jazz history in order to serve as an inspiration for new generations of listeners and musicians independently of current marketing hype. It covers the linear narrative of jazz history in Europe from its inception to the year 2000 presented on a geographical basis country by country. Each article is authored by a jazz history specialist from the specific country contextualizing the music in the cultural landscape of that country, discussing the most influential figures of its development, and referencing the sometimes considerable literature available in the national language. An unprecedented pool of authors makes much of this information available in English for the first time. Further chapters cover related subjects like popular music in Europe, the history of African-American entertainers before jazz, cross-national traditions like Gypsy and Jewish music, festivals, film and avant-garde music. The book also draws on the newly available resources created by the extensive work being done nationally by various jazz archives; chapters are supplemented by suggested listening lists and bibliographies. This volume is published with the support of the European Jazz Network and funds from Creative Europe. Xavier Prevost was a radio producer for Radio France from 1982 to 2014, and head of the Jazz Department from 1997 to 2014. He has served on the board of directors of the National Jazz Orchestra and was also responsible for events for the Jazz Festival in Paris Associations, from 1983 to 1990. He is now retired, writing reviews and chronicles on websites : mainly Jazz Magazine and Les dernières Nouvelles du Jazz. Duncan Heining writes about jazz, improvised music and 20th century composition. Since 1997 he has written for Avant Magazine, Record Collector, The Independent, The Independent On Sunday, Jazzwise, Jazz UK and the All About Jazz website. In 2010 Scarecrow Press published his biography of African-American composer and musical theorist George Russell, George Russell – An American Composer. 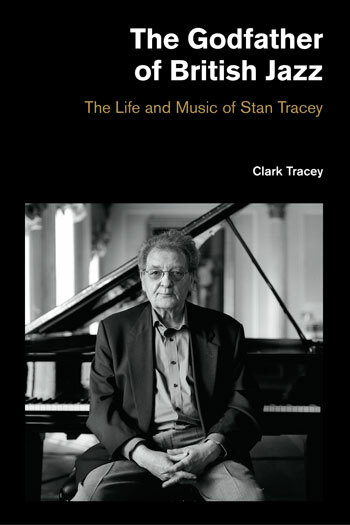 He is also the author of Trad Dads, Dirty Boppers and Free Fusioneers: British Jazz, 1960-1975 (Equinox, 2012). Cormac Larkin is a music journalist at The Irish Times. Tore Mortensen is Associate Professor in the Department of Culture and Global Studies at Aalborg University. Pedro Cravinho is a Researcher in Jazz Studies at Birmingham Centre for Media and Cultural Research (BCMCR) publishing on jazz and media. 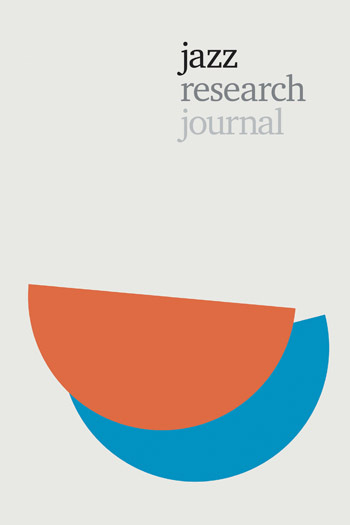 His thesis explores the cultural politics of jazz on television broadcasts in Portugal during the right-wing colonialist Estado Novo regime, between September 1956 and April 1974. His research interests focus on media representation and historiography, with particular interest in the political and social history of jazz diaspora during the twentieth century. Indrikis Veiners is the head of the jazz department at the Jazeps Vitols Latvian Music Academy. Rainer Lotz is a German discographer and jazz historian. Michael Dragni is a writer and author of Django: The Life and Music of a Gypsy Legend published by Oxford University Press. Gabriele Coen is a Jazz musician. Michael Heffley is a musician and scholar who teaches at Baker College of Flint. Selwyn Harris is a jazz journalist and owner of Jazz on Film Records. George McKay is Professor of Media Studies at the University of East Anglia. The History of European Jazz is a monumental work of international scholarship, which has been part-funded by the EU. The large format, two-column layout means that each page is twice the size you would find in a conventional book. There are 742 pages, with 45 contributors from across the continent. The importance of this book [is that it is] published in just one language – English. At last, we have a single publication that brings together a vast collection of knowledge and ideas and traditions, many of which have never travelled beyond certain national boundaries. Each chapter not only narrates the development of jazz in each country but includes a separate bibliography and listening guide. To call The History of European Jazz fascinating is something of an understatement. Every chapter is full of extraordinary information. As one slightly sceptical observer put it to me, “The project really is limitless in its scale.” Indeed so. Jazz in Europe over the past century is a vast, disparate and more or less inexhaustible subject. So it is definitely to the credit of those involved that they have not only managed to pack so much in between the book’s black covers, that they have given it such a sense of order and structure, and that the standard of the English and of the proofing are so good. It is also very well illustrated and the picture captions are detailed and highly informative. ...the cultural, historical and economic contexts in the different countries are never the same. And the approach of allowing a specialist from the country concerned to tell each story gives that authentic sense of where the music comes from. ...books on this ambitious scale are increasingly a rarity. The fact that this one has received the backing to actually come into being, and that it has been done this well, is nothing short of a miracle. It's taken some time, about a century in fact, but finally, thanks chiefly to editor and jazz historian Francesco Martinelli of Siena Jazz, the first comprehensive, pan-European history of jazz sees the light of day. And what stories they are too -complex, colorful and sometimes tinged with tragedy. Though jazz celebrated its centenary in 1917, what this book demonstrates time and again is the longer historical view, whereby the back and forth migrations of people between continents and across national borders over many centuries, and the cultural exchanges and assimilations along the way, have all fed, and continue to feed, into the complex mosaic that is jazz. There have been excellent jazz histories of individual countries to be sure, and sweeping—and generally less satisfying—historical overviews of European jazz are not uncommon, but for its scope, detail and academic rigour The History of European Jazz: The Music, Musicians and Audiences in Context is simply unprecedented in its ambition. What also sets it apart from most general European jazz histories is the fact that the jazz histories of the forty-odd countries examined herein have been written by experts native to their respective countries, ensuring an authenticity and insight that would be missing from any single author's necessarily narrow overview. The chapter authors are, without exception, distinguished jazz journalists, authors, promoters, academics and curators. A precious first step for both academia and music journalism. The History of European Jazz, edited by Francesco Martinelli, gets my vote as the most significant work of jazz scholarship of 2018. The book is able to take the discourse about its topic to a level higher than ever achieved before.